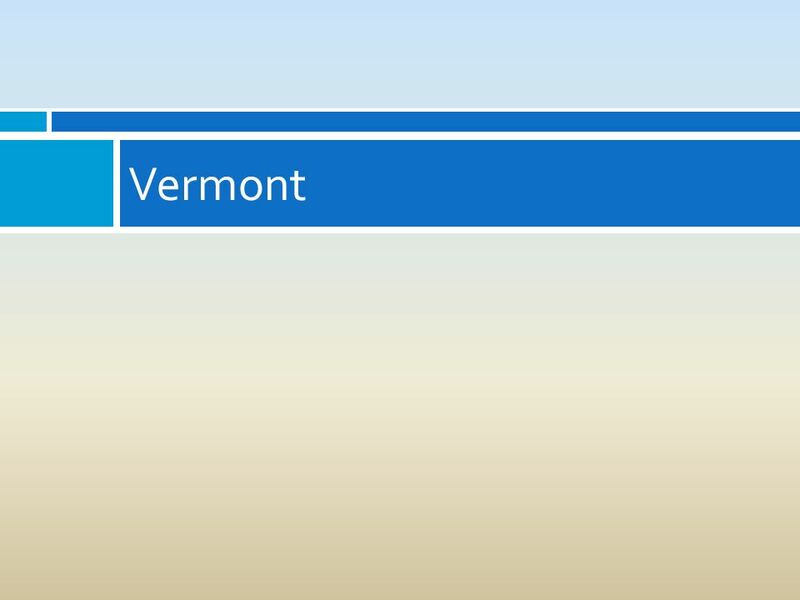 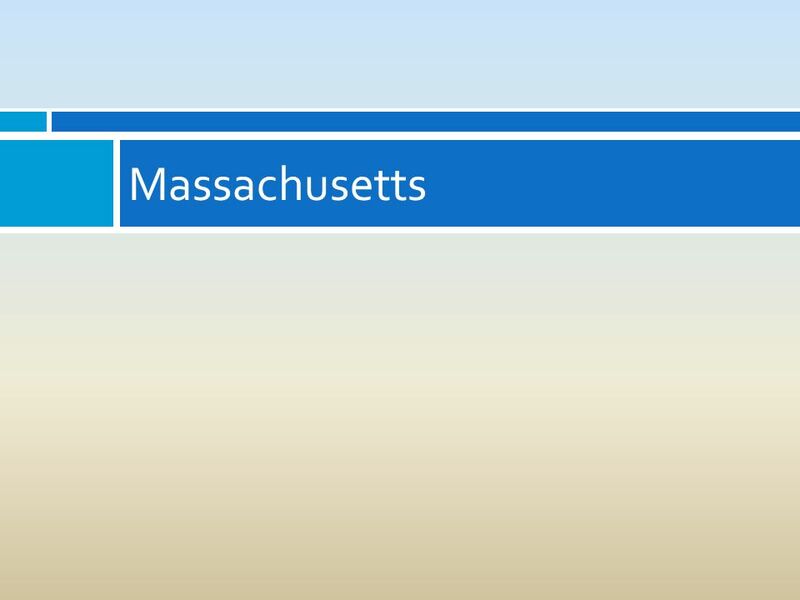 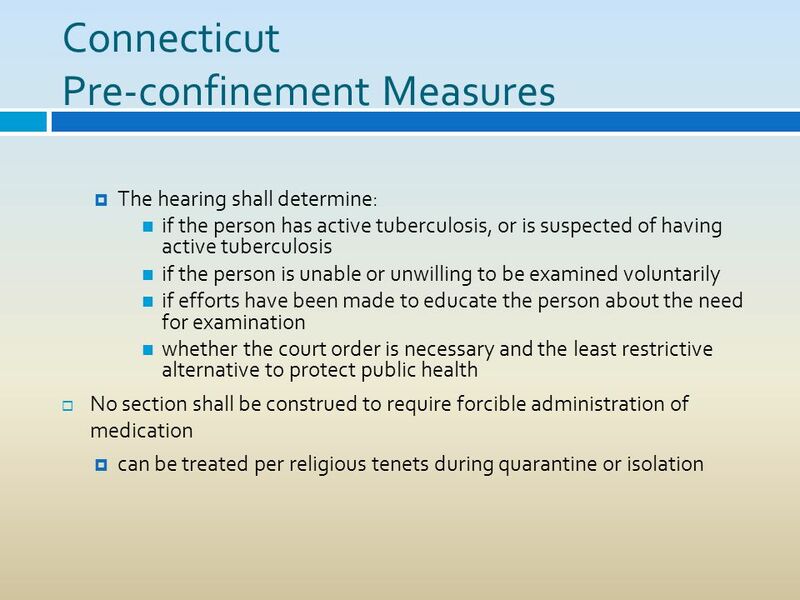 New England States Progress Report on Summary of Statutes and Regulations of New England States Regarding the Involuntary Examination, Treatment and Isolation. 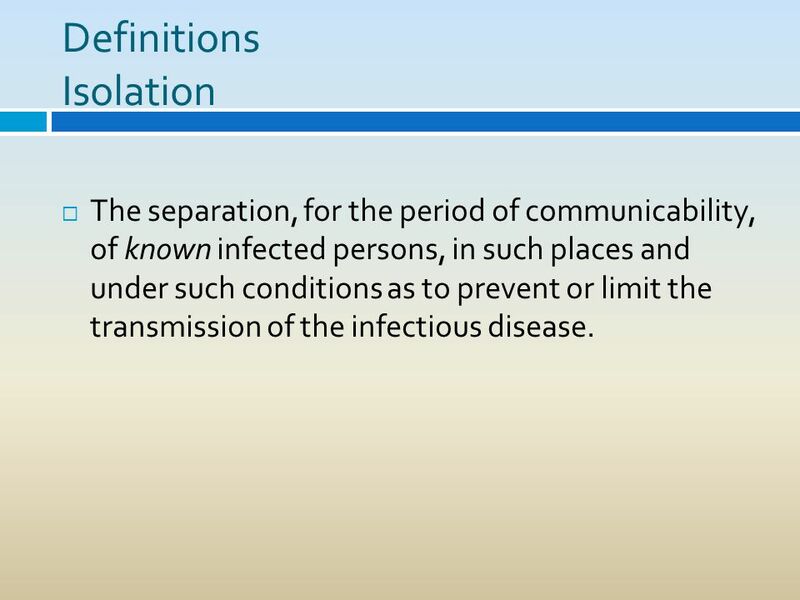 4 Definitions Isolation The separation, for the period of communicability, of known infected persons, in such places and under such conditions as to prevent or limit the transmission of the infectious disease. 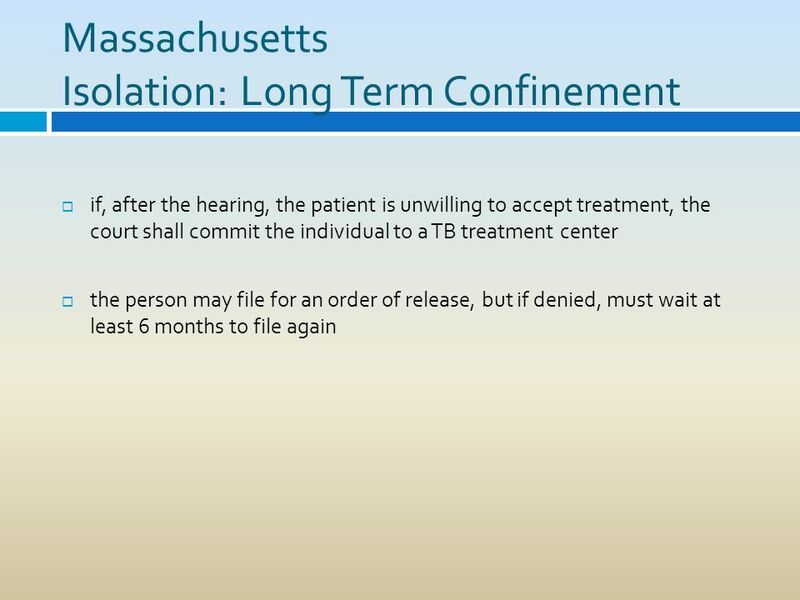 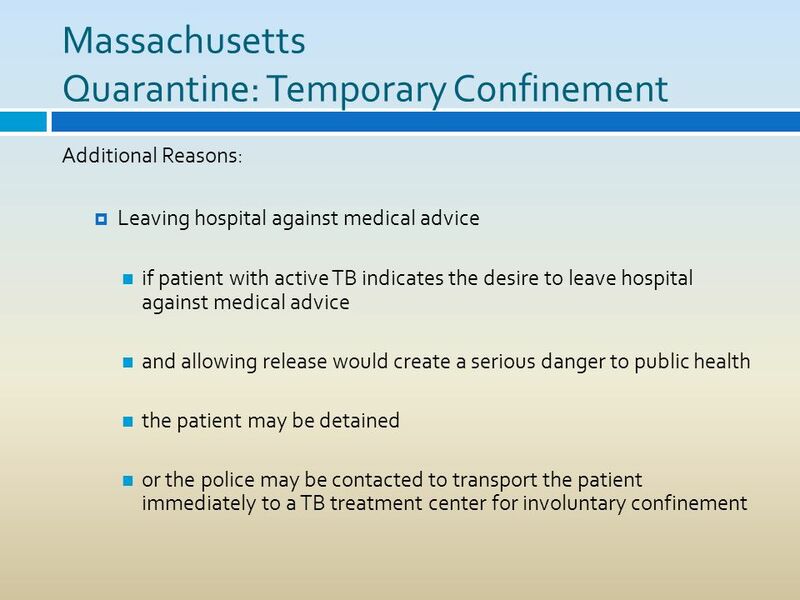 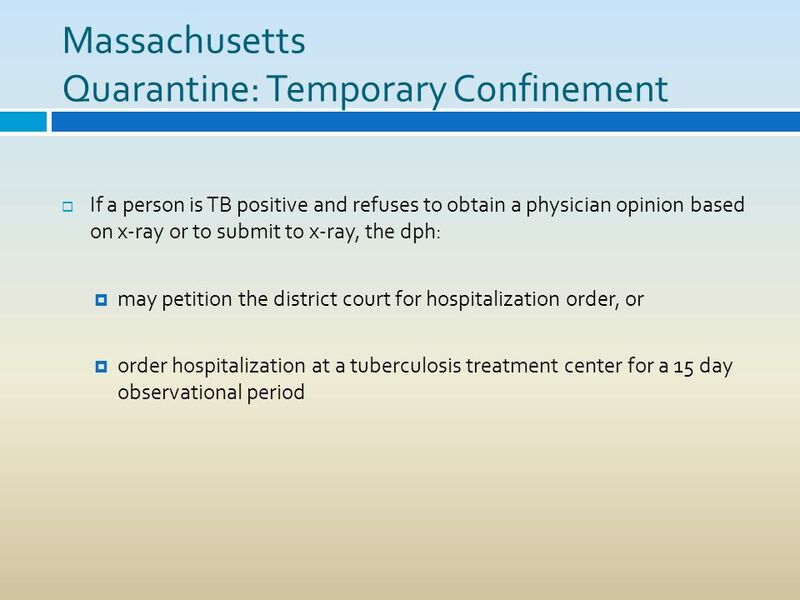 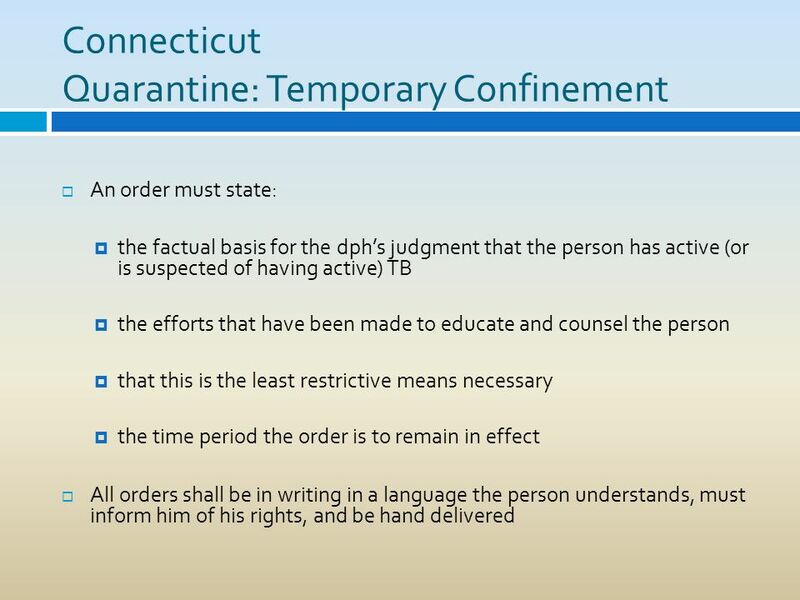 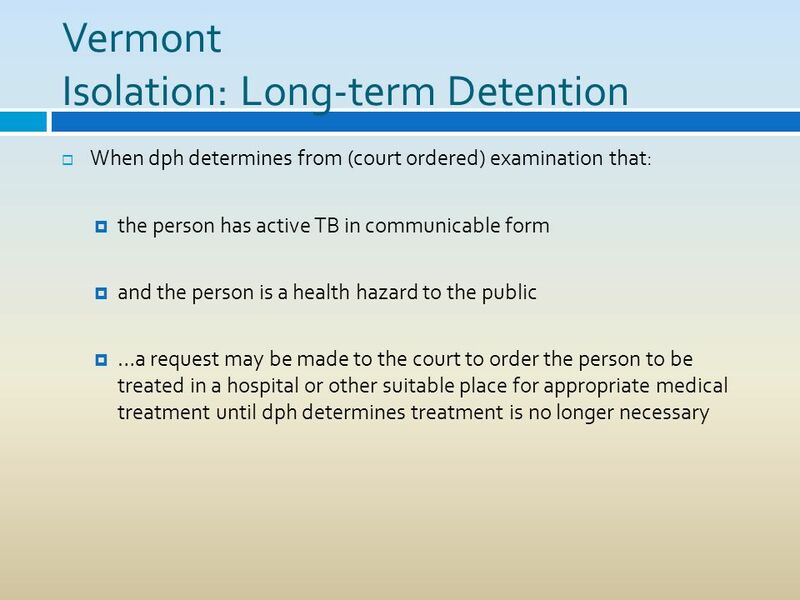 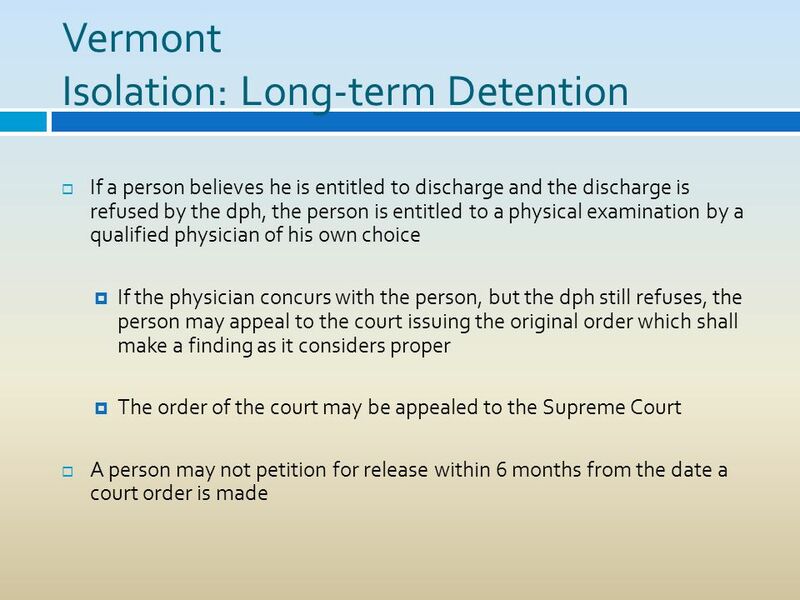 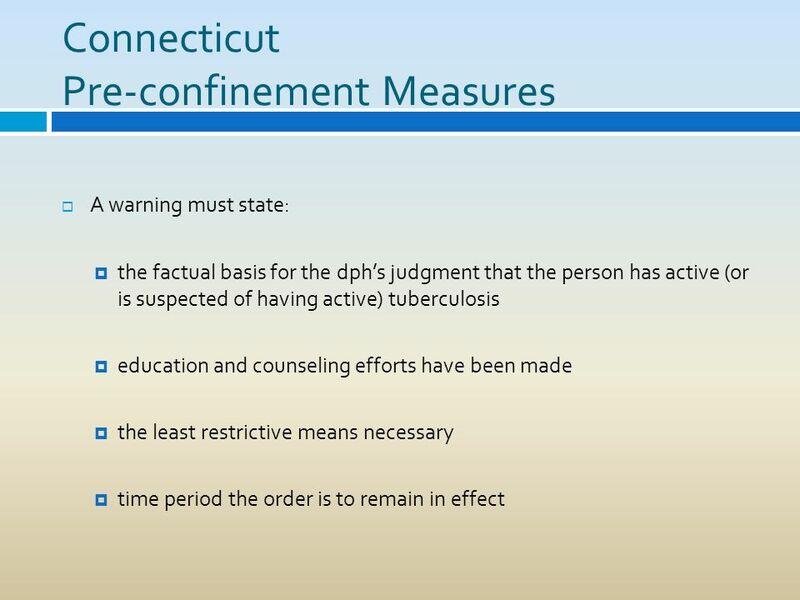 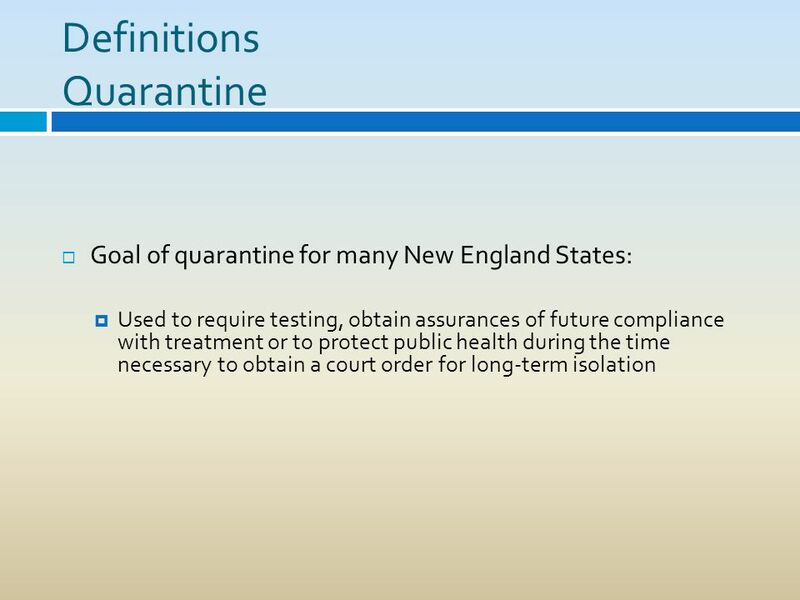 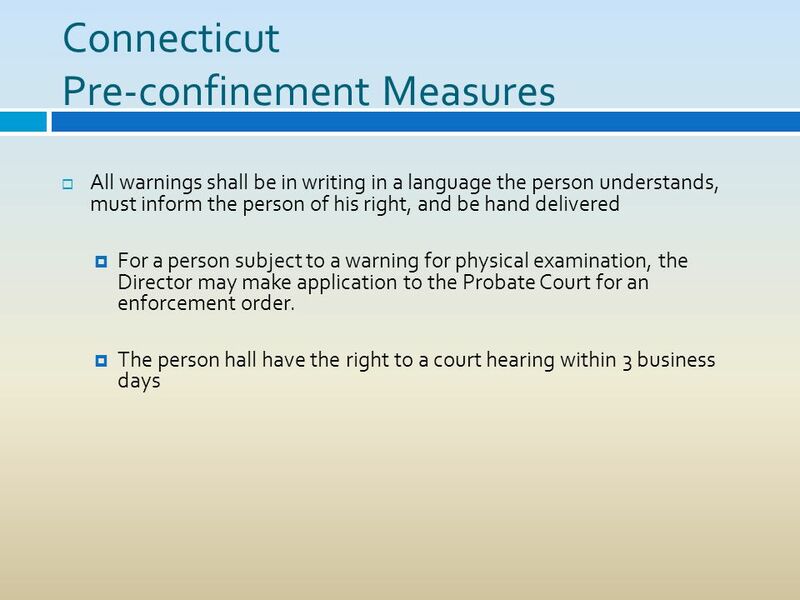 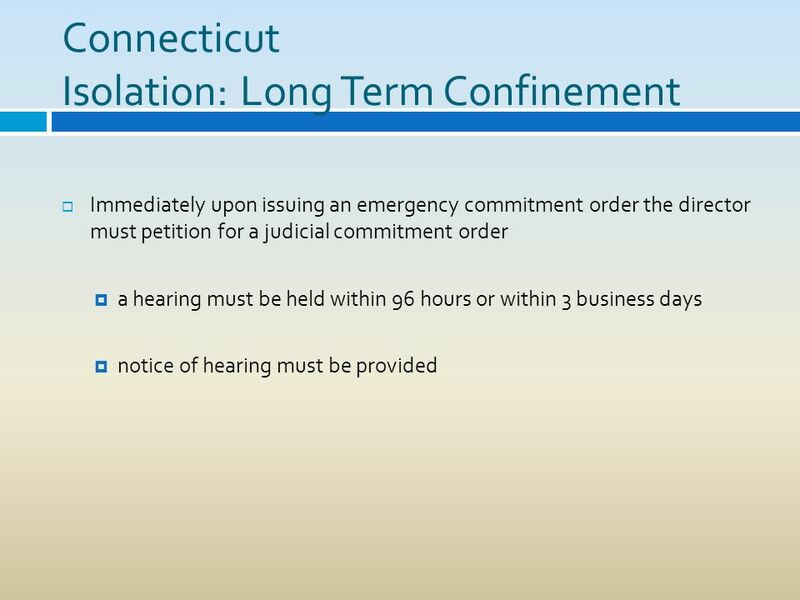 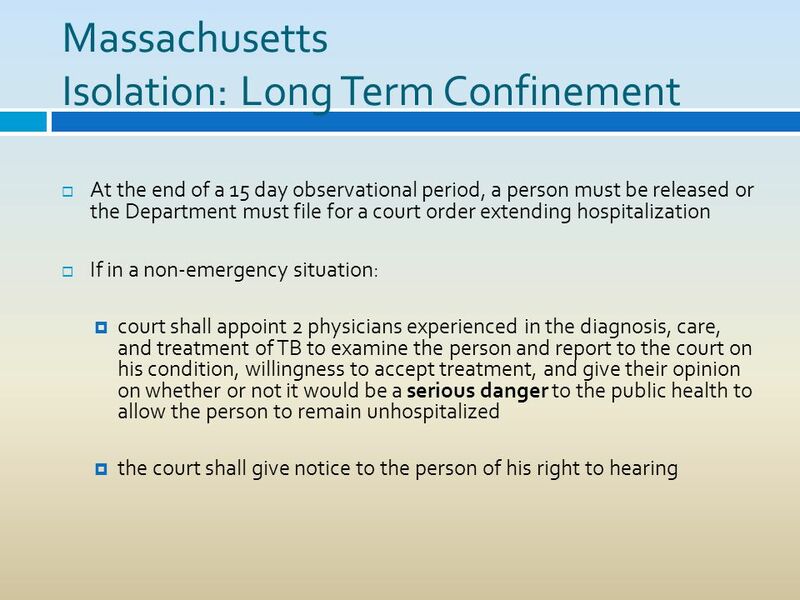 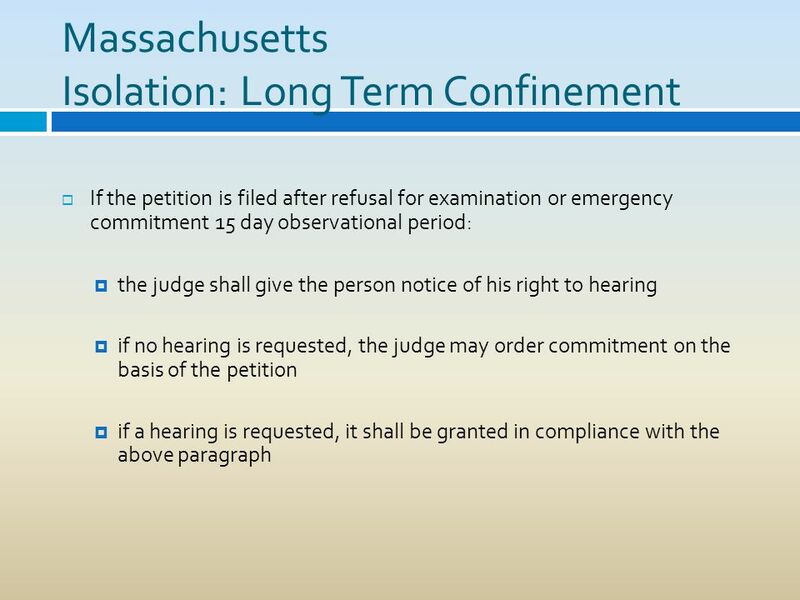 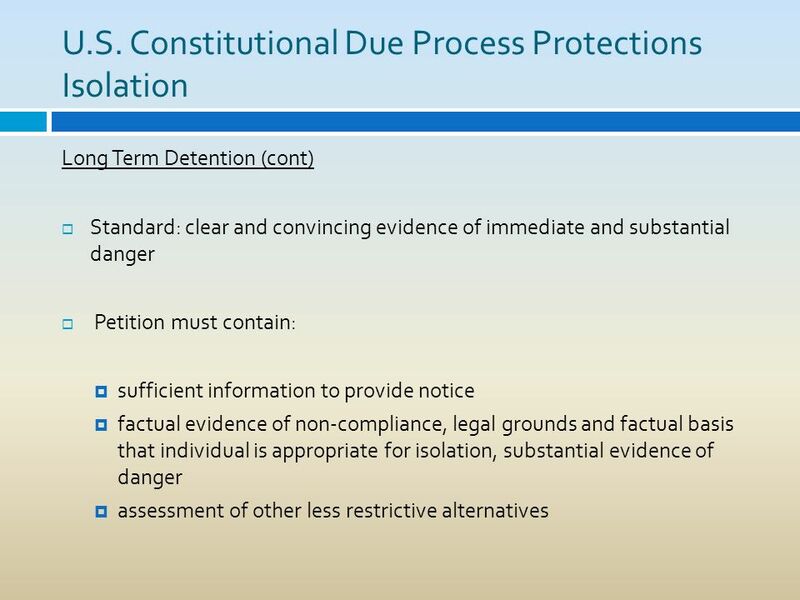 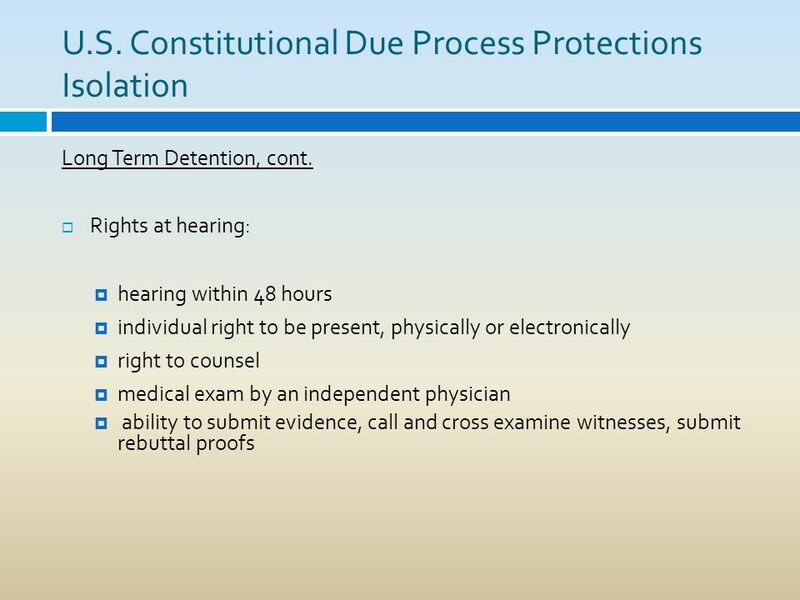 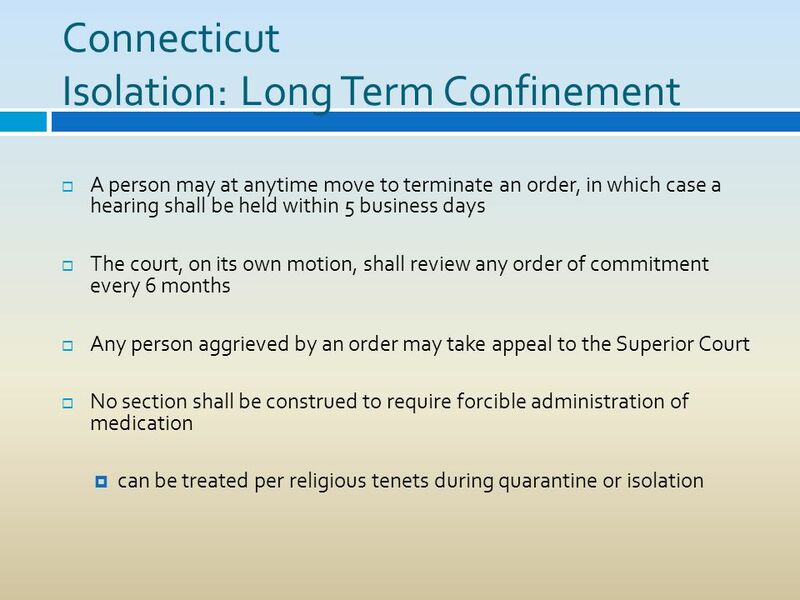 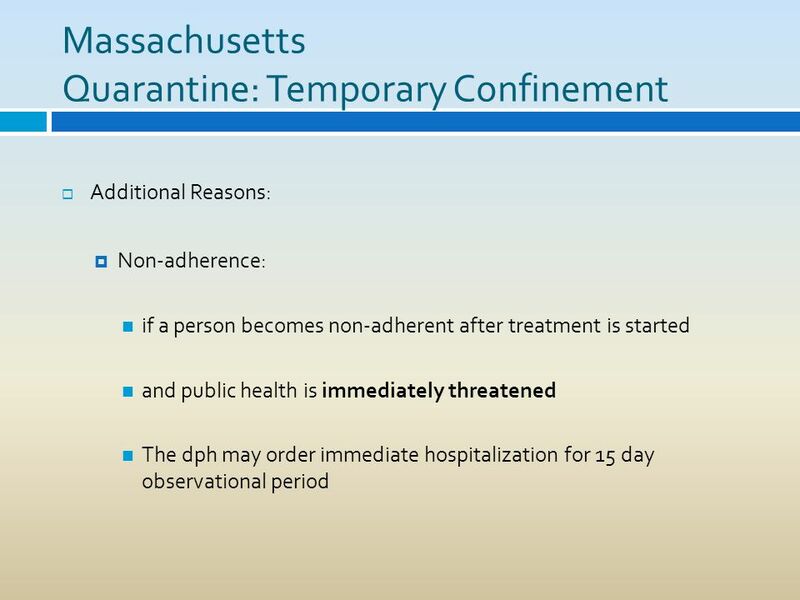 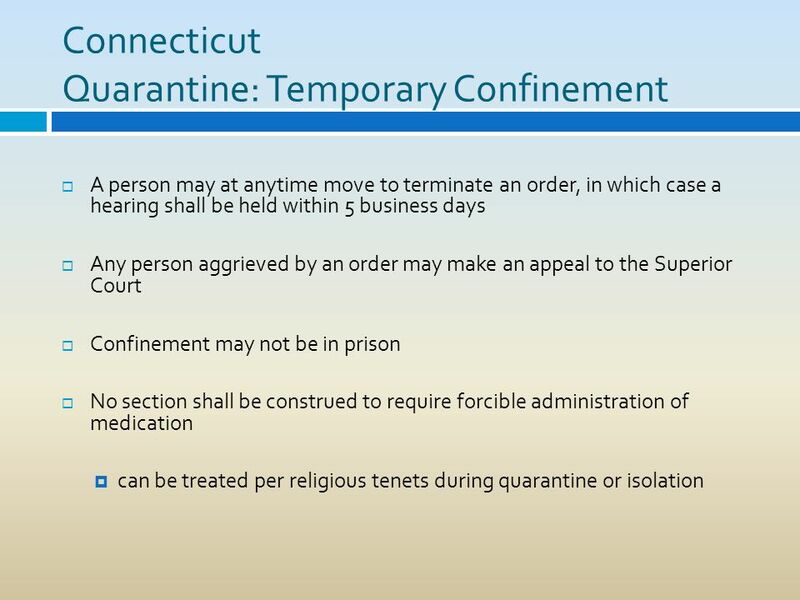 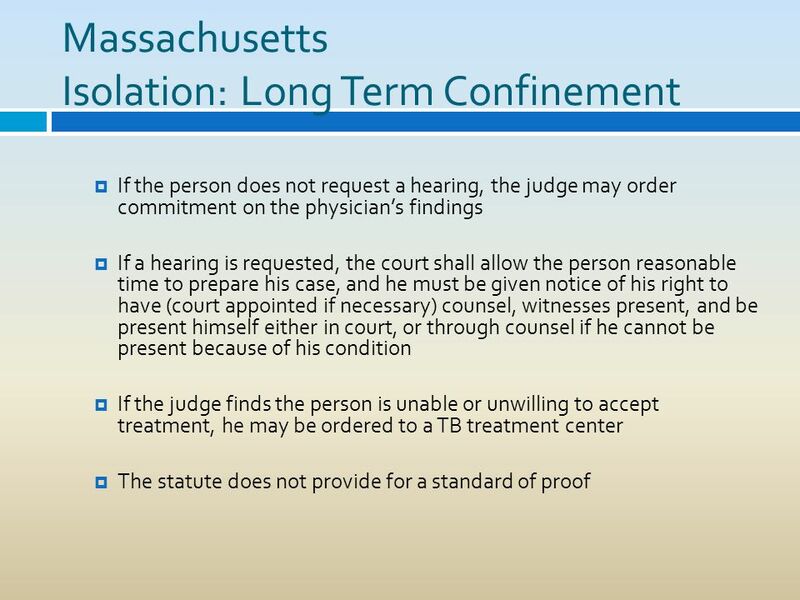 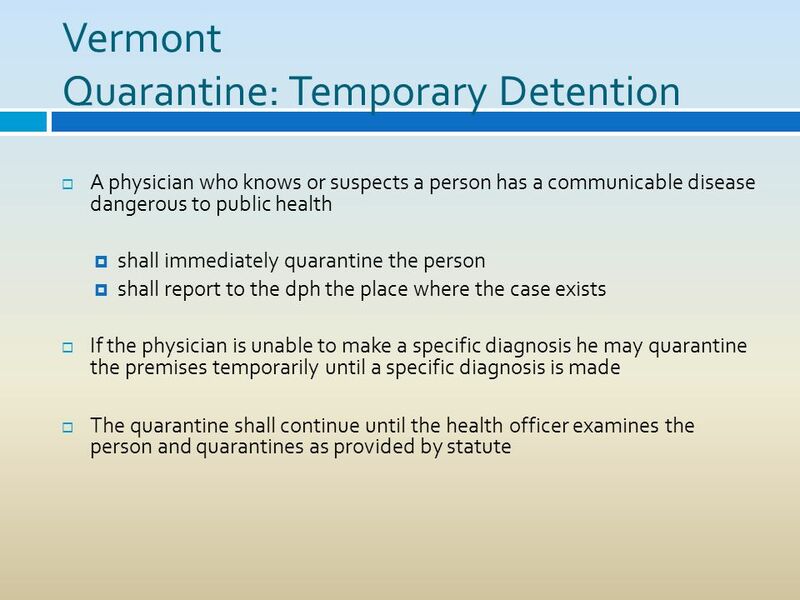 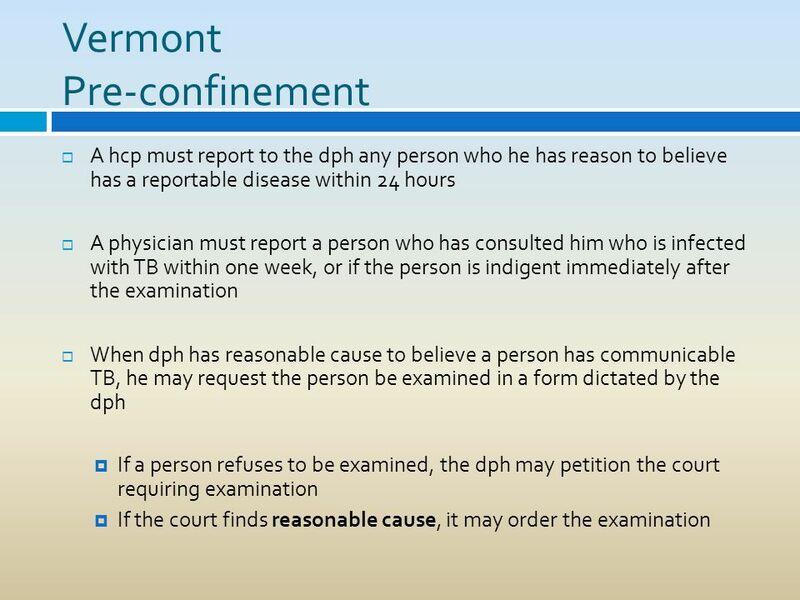 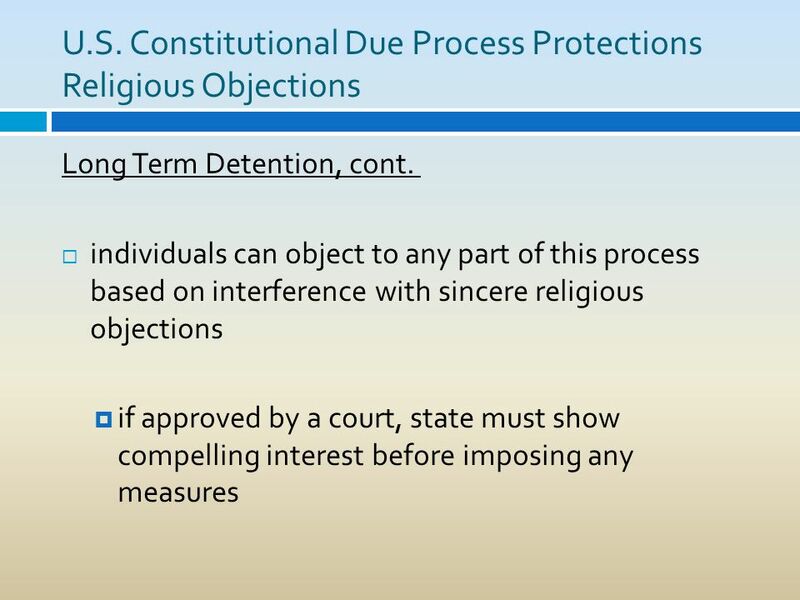 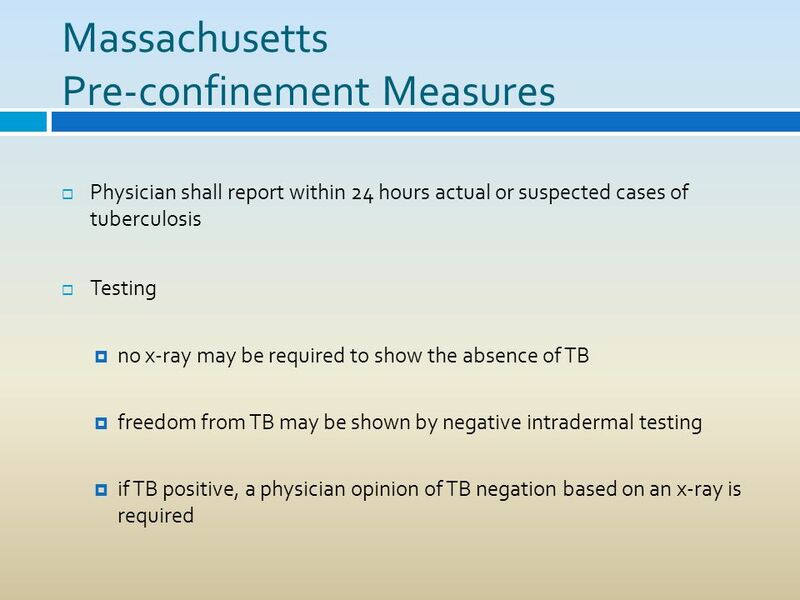 Download ppt "New England States Progress Report on Summary of Statutes and Regulations of New England States Regarding the Involuntary Examination, Treatment and Isolation." 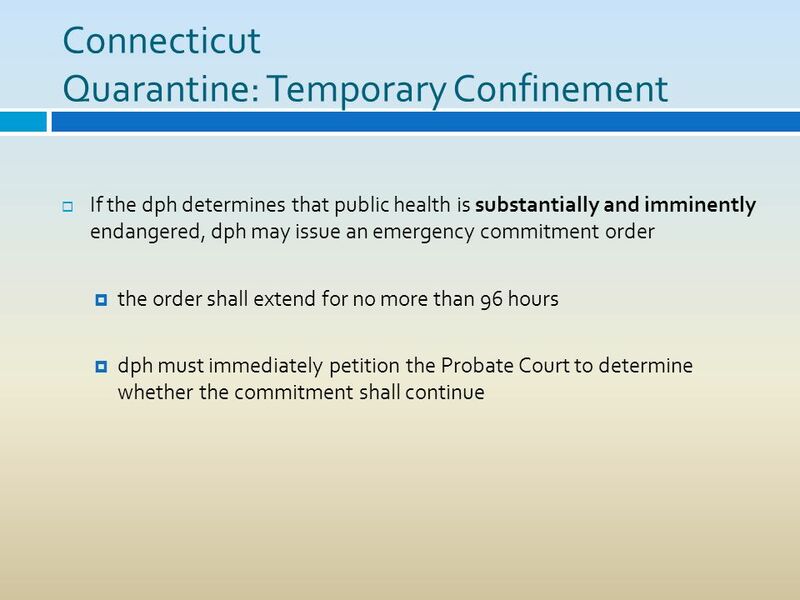 Judy Zeprun Kalman Senior Counsel Massachusetts Office of the Attorney General Role of the AG in Preparing for and Responding to Public Health Emergencies. 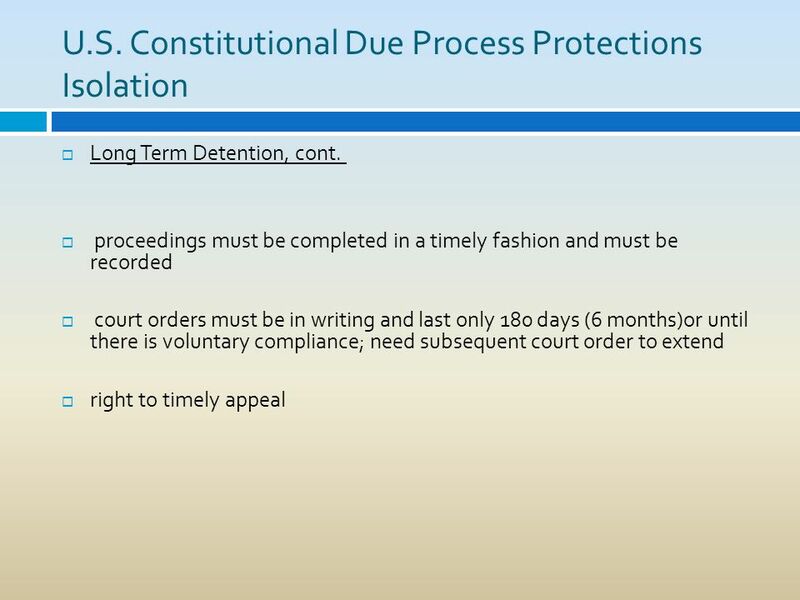 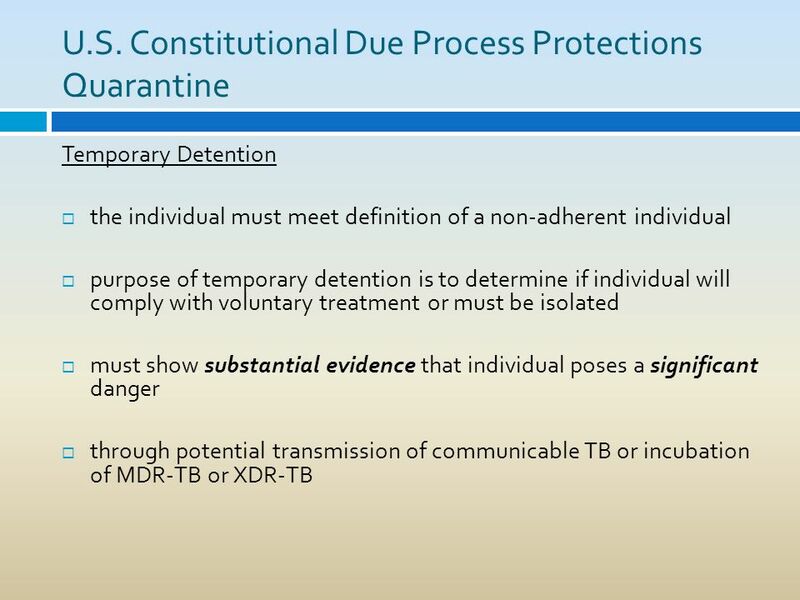 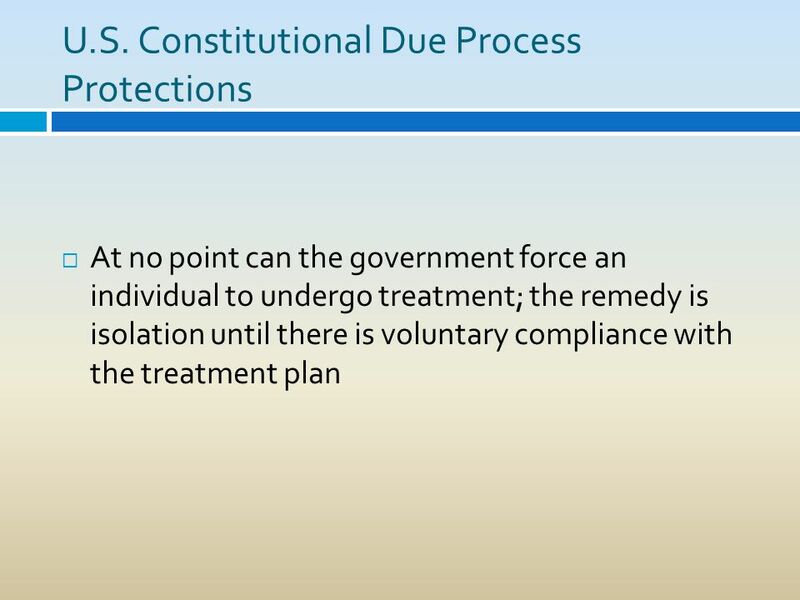 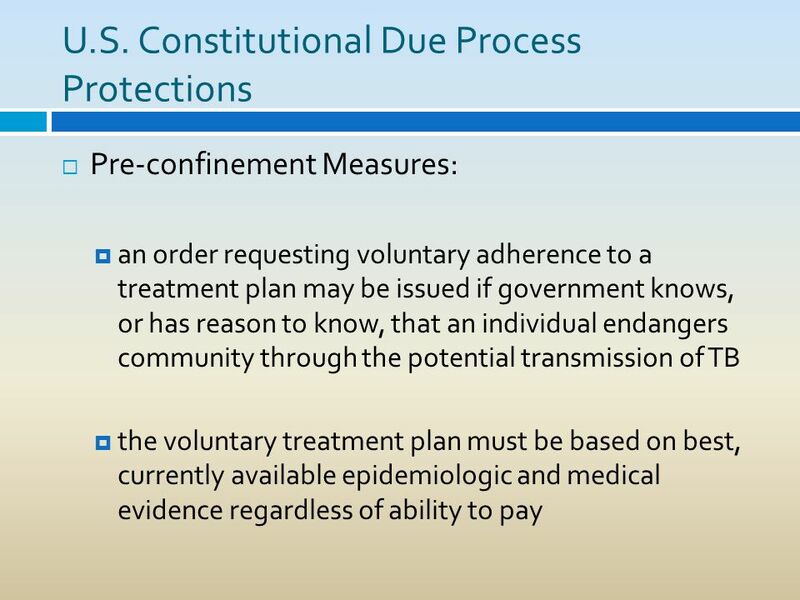 INVOLUNTARY MENTAL HEALTH COMMITMENTS Lisa Granberry Corbett Angel Gray Assistant Attorneys General John Aldridge Special Deputy Attorney General. 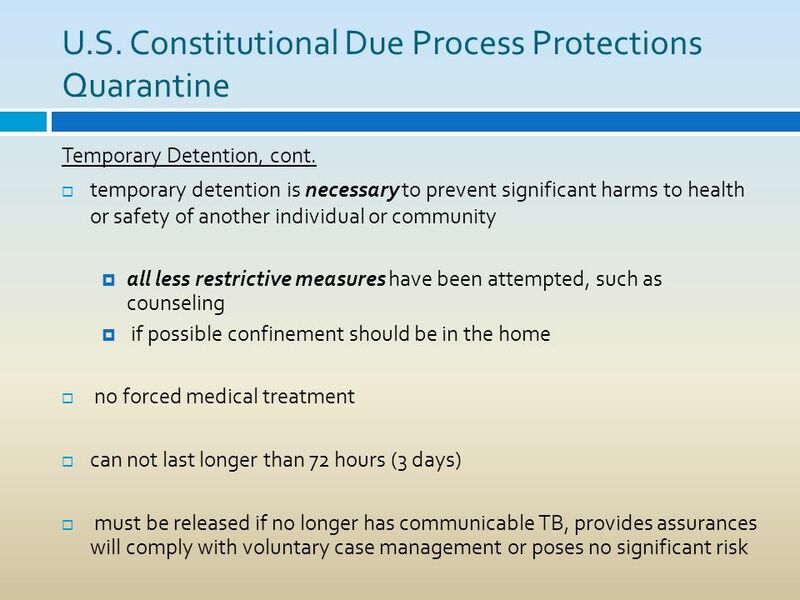 Interface of legal and clinical issues in emergency settings Kathleen Crapanzano, M.D. 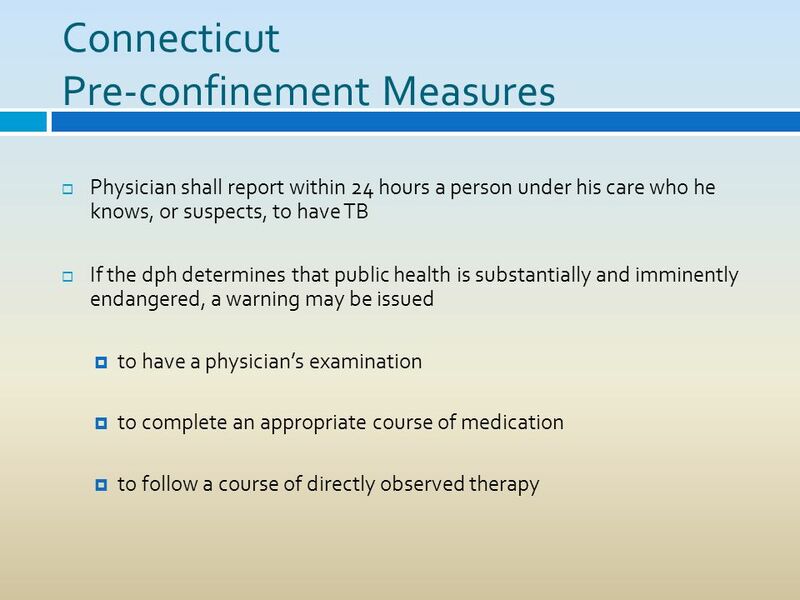 Office of Mental Health Medical Director. 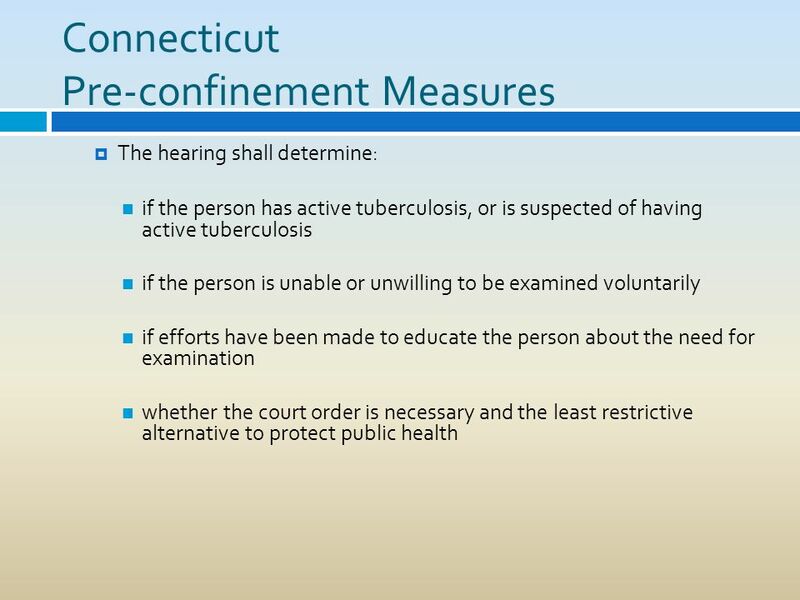 Involuntary Outpatient Commitment Legislation: State Perspectives Virginia House of Delegate's Health, Welfare and Institutions Committee July 30, 2007. 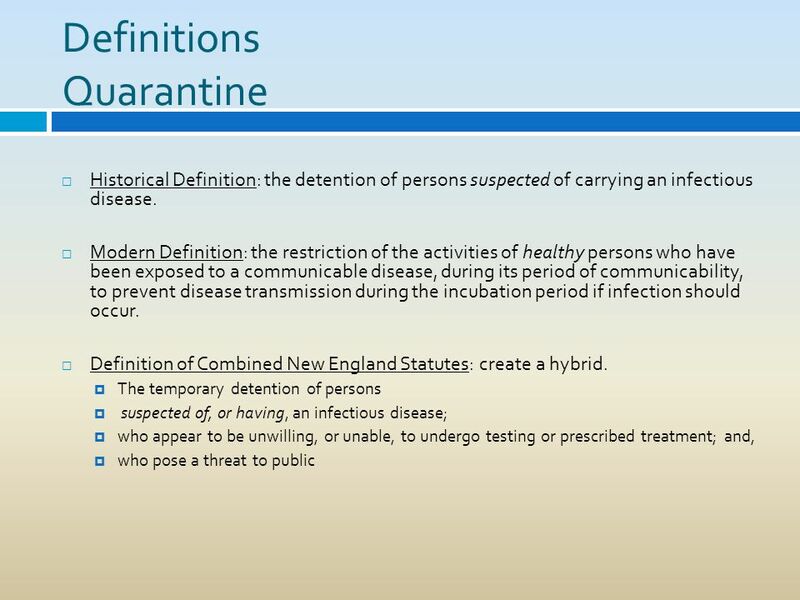 PUBLIC HEALTH REMEDIES. 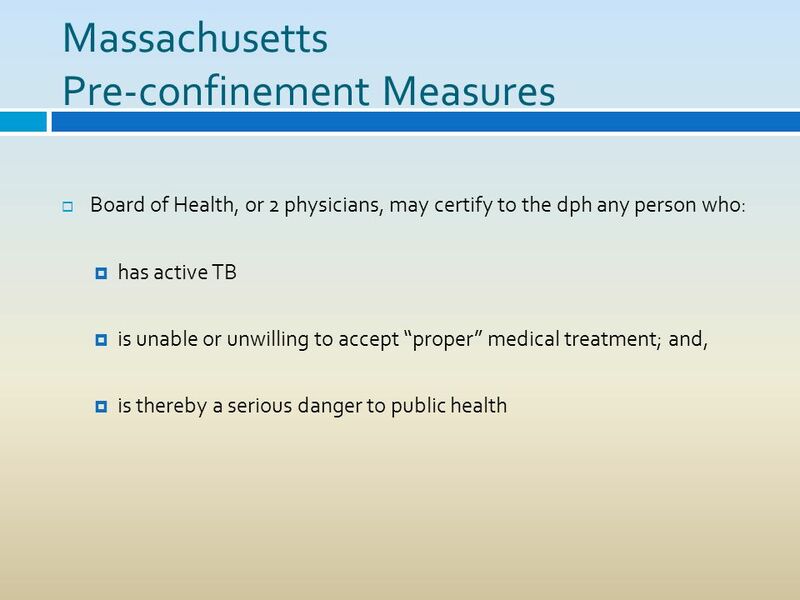 How do you get people to comply with public health laws? 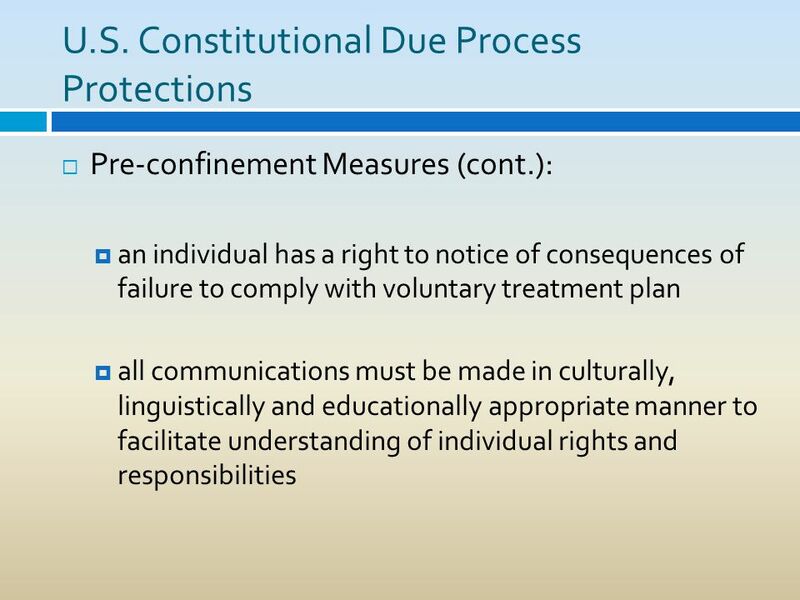 Usually seek voluntary compliance first— educate, persuade. 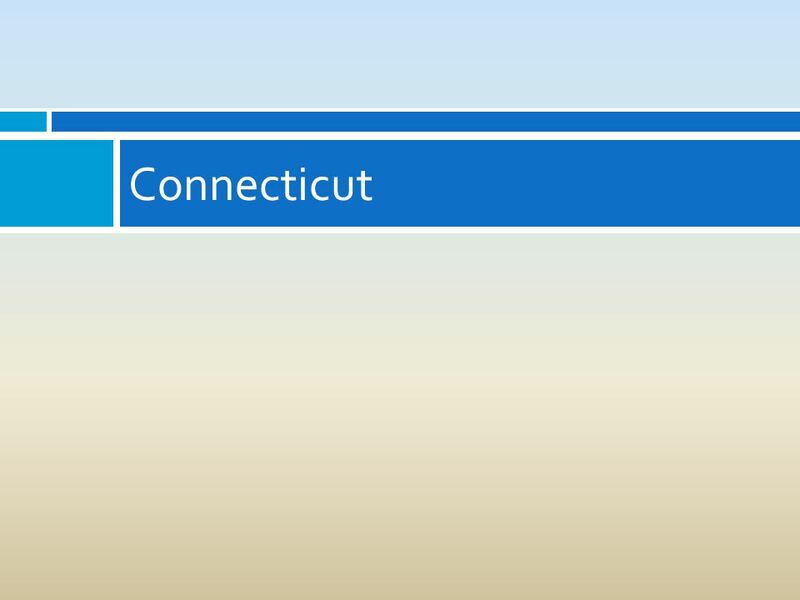 If that doesn’t. 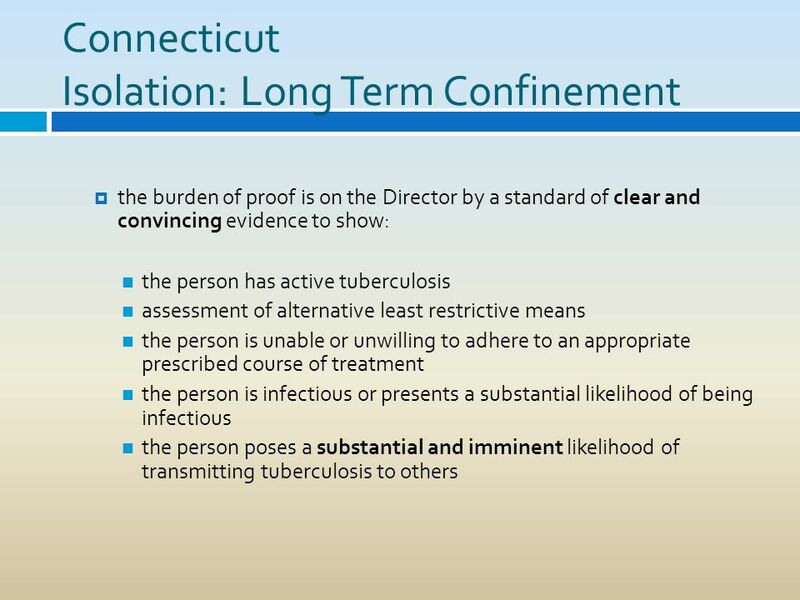 Outpatient Services Programs Workgroup: Laura’s Law May 29, 2014. 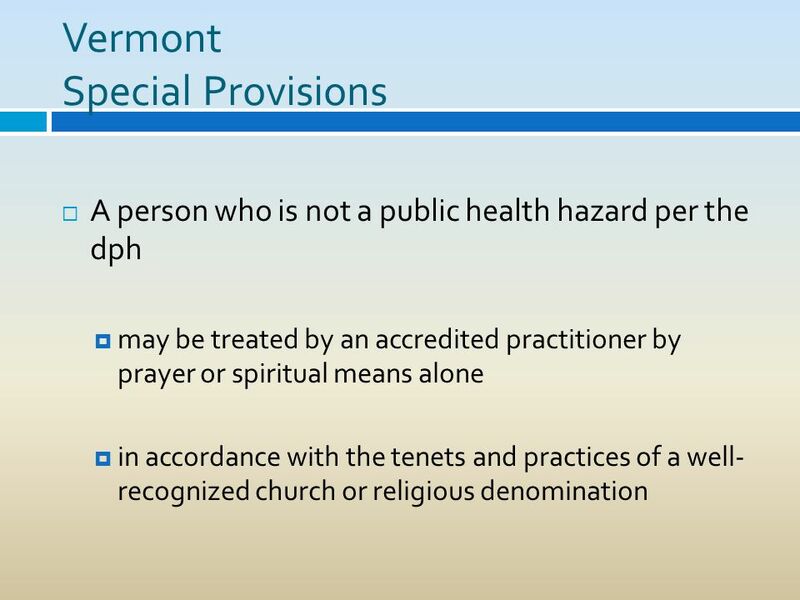 Outpatient Services Programs Workgroup: Rights of the Individual July 23, 2014.